The lifestyles we lead today is very different from that of our grandparents. Back then, amassing property was a top priority for them. It's quite astounding and slightly jarring to know that nowadays, most Filipinos choose not to buy their own home. 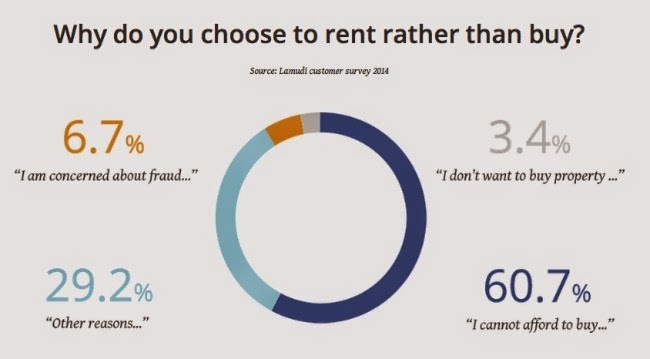 According to a survey, the key reason is affordability. Is it really that expensive to invest in property nowadays that most people prefer to rent? In my humble opinion, I think the problem lies mostly in long-term commitments rather than affordability. Nowadays, Filipinos prefer to throw their money away in rent. From what I gather, monthly rent isn't that much more than what you might have to shell out monthly as payment for a house or condominium unit. I think the main difference is that if you rent, you can easily and conveniently cancel the contract should you fid yourself needing extra money somewhere along the way. When buying property, your money is pretty much stuck until the full amount has been paid. I can only deduce that this is mainly due to our country's mall culture and how a lot of people these days choose to live beyond their means. This is scary business. As a 30-something mom, I find our home to be my biggest source of security. No matter what happens, (knock on wood), we will always have a place to seek shelter in. More than a car, a nice wardrobe or a designer bag, I think investing in a home should be everyone's top priority even if it might mean a huge shift in your lifestyle. A home is your legacy and according to an extensive study done by Lamudi, now is the best time to invest. The report, Real Estate in the Emerging Markets, provides a comprehensive overview of the property sector in 16 emerging countries, including the Philippines. 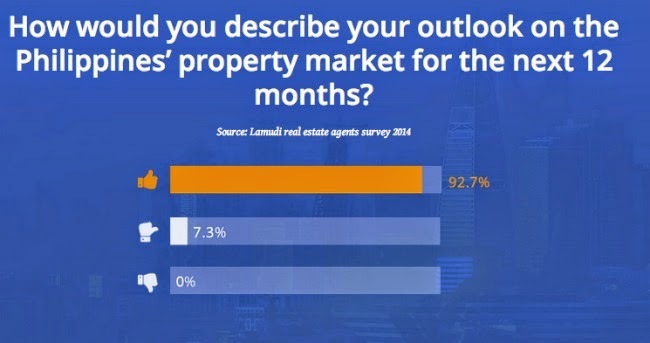 It also states that more than 90% of real estate agents and brokers are overwhelmingly optimistic about the future of the Philippine market. I think it's time we start being positive too! For an easy-to-read online format of the full report, Visit www.lamudi.com.ph/research. Launched in 2013, Lamudi is a global property portal focusing exclusively on emerging markets. The fast-growing platform is currently available in 28 countries in Asia, the Middle East, Africa and Latin America, with more than 700,000 real estate listings across its global network. The leading real estate marketplace offers sellers, buyers, landlords and renters a secure and easy-to-use platform to find or list properties online.